Urban-inspired painter Titina Maselli influenced Pop Art. Titina Maselli paints ‘Energy’. Roman artist Titina Maselli has been called ‘a Byzantine Empress’. Maselli (1924–2005) is known for her love for powerful urban scenes featuring iconic symbols of speed and modern city life. ”I want to paint energy,” the artist once remarked. 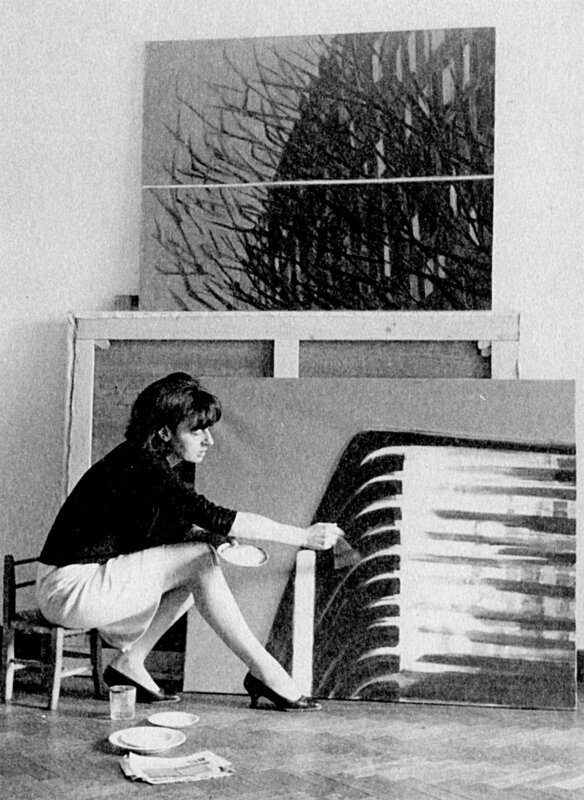 Maselli began painting in the second half of the 1940s, exhibiting her first personal show at Rome’s Obelisco Gallery in 1948. She often focused her work on common household objects such as a telephone, a typewriter or a steak. Her fascination with urban subjects shows in her nighttime scenes featuring deserted streets and ruinous cities, influenced by her experience of living in New York in the 1950s. In a commemorative speech, Rome’s former mayor Walter Veltroni described Maselli and her work in this interesting way: ‘She is like a Byzantine empress who does not lose the elegant rhythm of her gestures, even when faced with the backbreaking tour de force of the oversized canvases that she often paints.’ Truck and Greta Garbo are two works painted by Maselli, restored by AWA in 2014.